Antonello Lupino, Laurea, Italy. Dr Lupino is the Director of the Centro UFOlogico Internazionale (International Center for UFO Studies), He has researched UFOs for over 25 years and has had his own anomalous experiences in 1973 and 1978 involving an intense light that tanned his skin. He has authored numerous articles and a book on abductions and the UFO phenonemon. 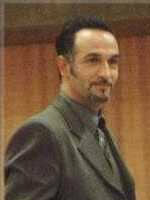 He has won a number of prestigious UFO awards in Italy due to his outstanding research on abductions. Professionally, he serves in the Italian security forces. Antonello Lupino is a member of the Advisory Board of the Exopolitics Institute.